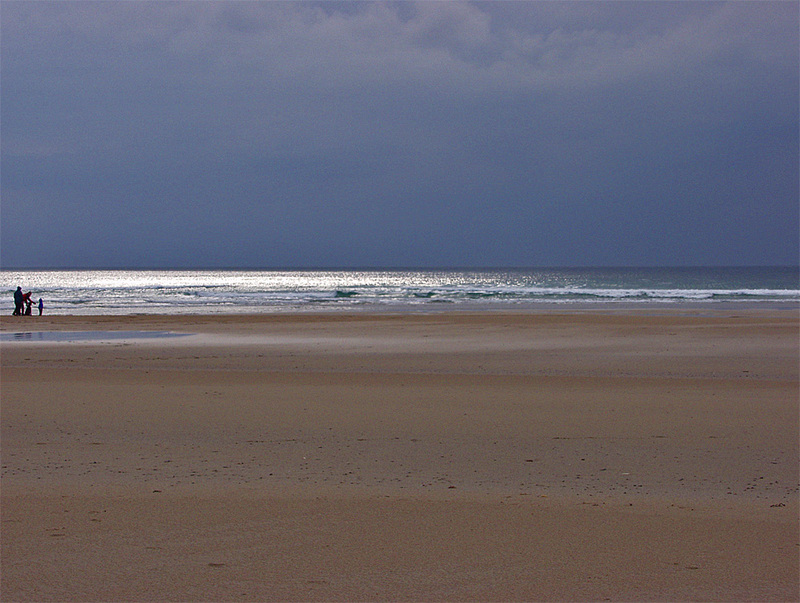 Changeable weather at Machir Bay on the west coast of Islay. Dark clouds are hanging over the bay, but the sun is breaking through from the south. A family is enjoying the moment on the beach.